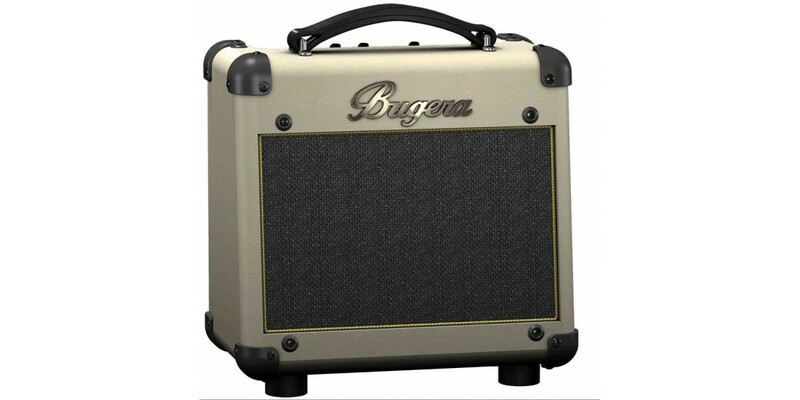 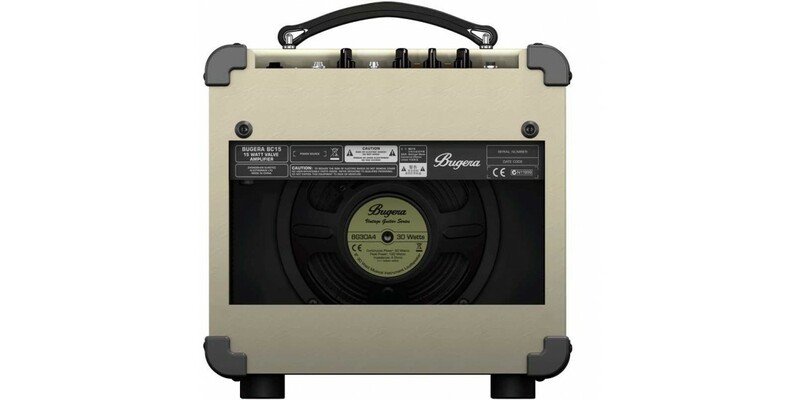 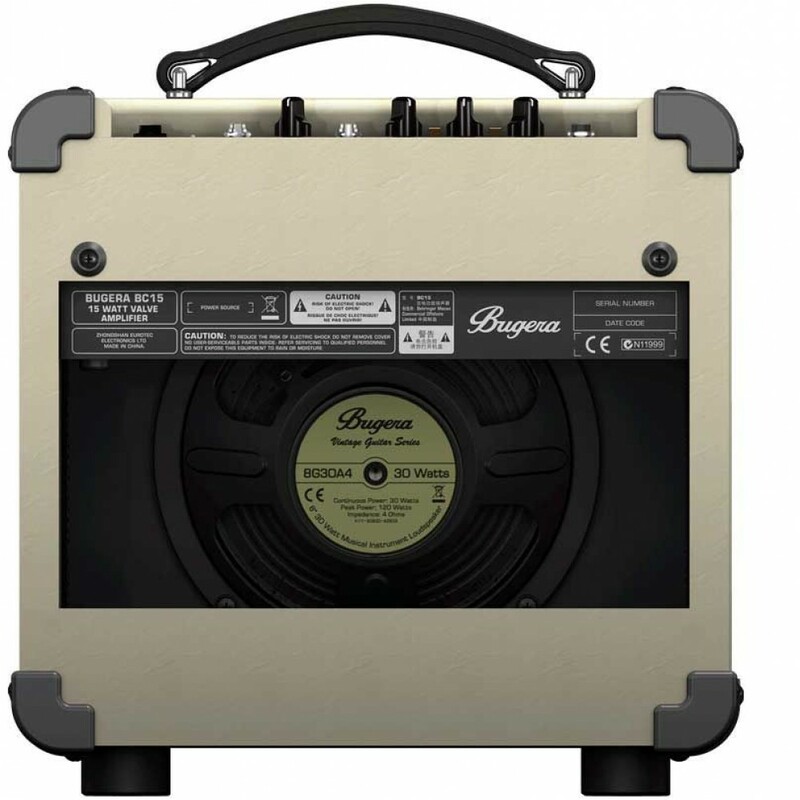 The Bugera BC15 is a vintage-styled amplifer with great tone at an incredible price point. 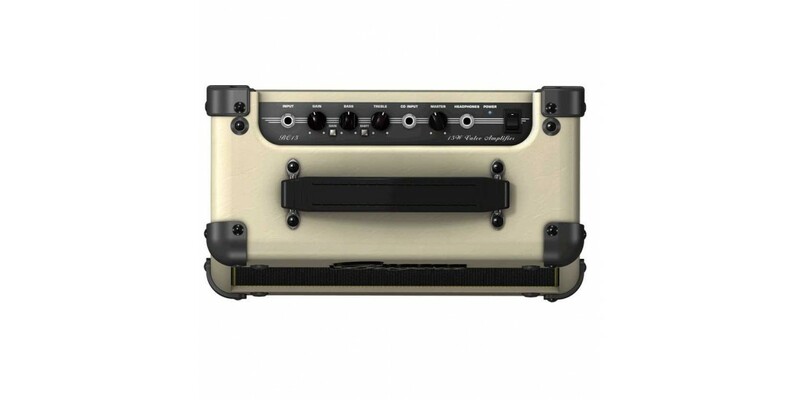 Unlike many other vintage or "boutique" style low-wattage amplifiers, this amp packs a 30 watt speaker and comes with modern features such as an aux in (for jamming along with cd's or mp3's) and a headphone out, for those late night jam sessions. 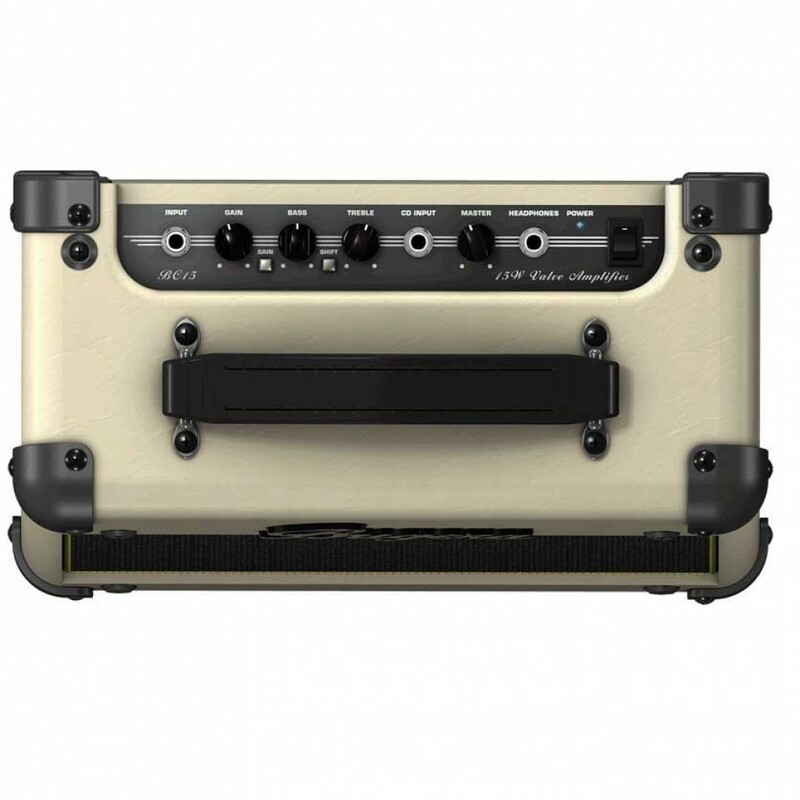 Take control of your sound with the onboard 2-band EQ plus mid-shift option and utilize the 2-channel tube preamp to get tones ranging from chimey to sparkly, through bright & spanky and all the way up to full on growl, bite and pummel. 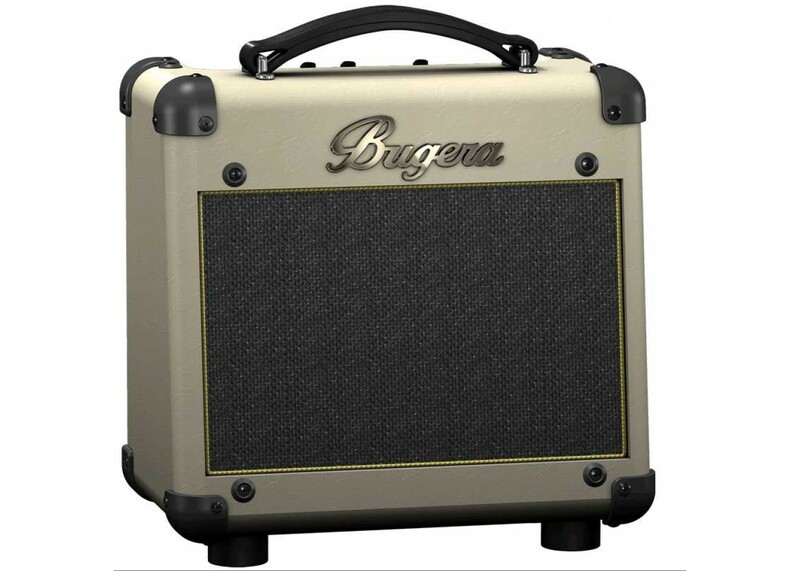 No modeling here, folks - just a great amplifier design from Bugera.